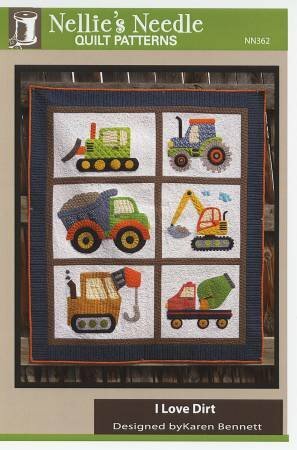 Applique pattern of construction vehicles. Each vehicle could be used separately as a pillow or wall hanging. Finished size: 47.5" X 55.5".